A new bill from Senator Elizabeth Warren proposes personal, criminal liability for top executives of companies turning over more than $1B/year when those companies experience data breaches and scams due to negligence (many of the recent high-profile breaches would qualify, including the Equifax giga-breach, as well as many of Wells Fargo’s string of scams and scandals). It is part of a raft of excellent policy proposals that Warren has introduced in conjunction with her bid for the 2020 Democratic presidential nomination (I am a donor to her campaign, as well as the Bernie Sanders campaign): lowering drug prices with federally commissioned generics, an annual wealth tax on family fortunes over $50m, antitrust breakups of Big Tech, an end to the Electoral College and a national Right to Repair law for farm equipment. To be clear, as I don’t think Cory’s article was, this bill may be in conjunction with her bid for the Democratic nomination, but this is not the first time Warren has proposed legislation relating to breaches. If you search this site for her name, you will find coverage of other breach-related activities on her part going back to 2014. Posted by Dissent at 9:51 pm	Breach Laws, U.S. 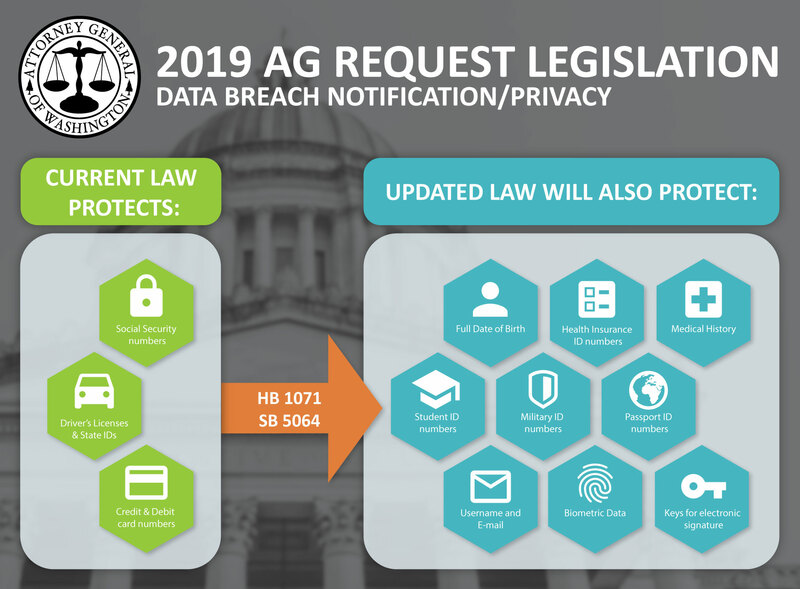 The District of Columbia’s top lawyer has unveiled a proposal that would expand the city’s data breach notification law and give the attorney general’s office greater enforcement power. Read more from Bloomberg Law. MPs have revised privacy legislation to avoid a risk of ‘notification fatigue’ in which holders of data would be forced to advise the public of even minor data breaches. Parliament’s justice select committee has raised the threshold in the Privacy Bill for when mandatory notifications to the Privacy Commissioner and affected individuals would be required from a breach causing “harm” to one of “serious harm”. Now, the judgment of “serious harm” from a breach would be determined by a range of factors set out in the revised bill including: the actions a holder of data has taken to reduce the harm; the sensitivity of the information; the nature of the harm; those to whom the information might be disclosed; and whether the information is protected by security measures. Read more on Newsroom. I wish they had linked to the actual language of the legislation. I’ll go look for it.